OVERVIEW: The Emerging Issues (EI) Proposal Solicitation process is HESI’s traditional and longest-standing project adoption process. The mechanism ensures a platform for broad input on new science, and creates an opportunity for all interested parties (public and private) to engage in project development with initial project costs provided by HESI. Do I need to be a HESI Member to propose a project via this process? Anyone from the public or private sectors can submit a proposal. Submissions do not require current or prior affiliation with the HESI organization. What is the process for submission and approval of a proposal? 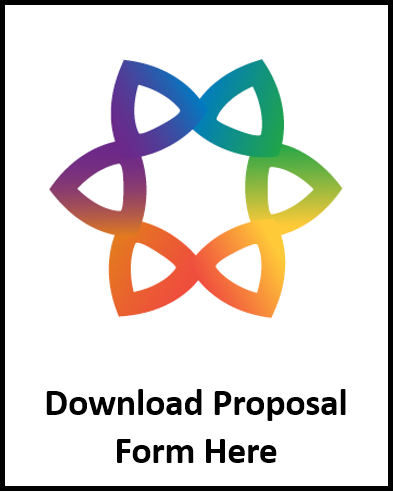 Proposals are solicited once per year typically from September - December. These proposals undergo detailed initial review by HESI’s multi-sector public/private Emerging Issues Committee (EIC). Two or more promising proposals are selected by the EIC for presentation at the HESI Annual Meeting usually held in June. These priority proposals are then submitted to the HESI membership for prioritization and voting. The most promising proposals will form the basis of new scientific initiatives within HESI. What are the proposal selection criteria? The issue should be a priority for a broad cross-section (academia, industry, government) of the scientific community and should have current public health significance. HESI’s efforts to address the issue will have measurable scientific impact. Lengthy academic research proposals will not be considered. Proposals should reflect applied science as contrasted with basic discovery science. Proprietary and product-specific issues will not be considered. Proposals should not include lobbying or advocacy components. HESI's efforts to address the issue should not be duplicative of other groups. Although not required, projects that come with matching resources will be given special consideration. EI projects are resource intensive. Consequently, budget and staffing restrictions may limit adoption or modify the timeline from year to year. Do I need to have dedicated funding to propose a project via the HESI EI process? No. Proposal submissions do not require a commitment of resources, however projects that bring matching funds or collaborative grants will be given special consideration. A project that is ultimately selected for action receives funding from HESI for approximately one year. This funding includes a dedicated HESI scientific program manager, dollars for meetings and teleconferences, and limited travel funds for public sector participants. While these funds help to get the project started, HESI relies on in-kind contributions from participants as well as dollar contributions from partner organizations to complete more complicated projects, such as laboratory studies. Participants (both public and private sector) are not required to pay any fees during the first year. If the project moves beyond one year in duration, the participants (in conjunction with the HESI program manager) must develop a budget and identify committed funds to complete the proposed project. HESI will match those funds (up to an established limit) during the second year. Beyond year two, the project must be funded entirely by participant dollars. What are some examples of successful proposals? 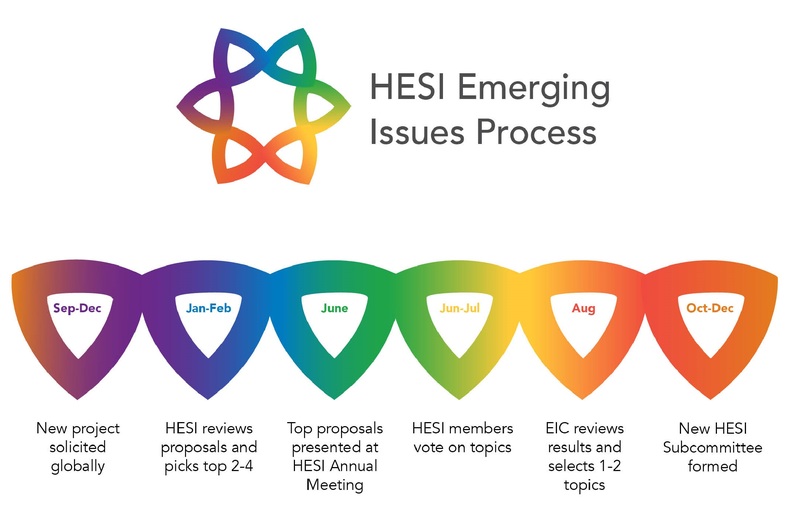 Many successful HESI Technical Committees originated with a proposal submitted through the HESI Emerging Issues Proposal Solicitation Process. Examples include Subcommittee on the Microbiome, Cell Therapy - TRAcking, Circulation, & Safety (CT-TRACS) Committee, and Translational Biomarkers of Neurotoxicity. Submit one or more topics using the HESI Proposal Form. Use a separate form for each topic. The most promising proposals will form the basis of new scientific initiatives within HESI, and will receive supporting funds from HESI to initiate activities in the fall of 2019. Contact: Jennifer Pierson (HESI Senior Scientific Program Manager), jpierson@hesiglobal.org.